The lack of high definition filming was done on purpose to make The Walking Dead appear grittier. The zombie TV show is filmed completely using 16mm film instead of on HD cameras. 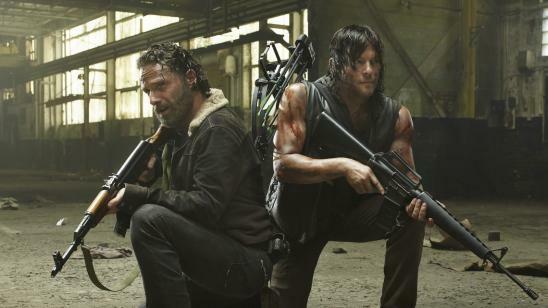 Non-HD filming is done to better capture the roughness of the post-apocalyptic zombie world and enhancing the dark and believable tone the showrunners were looking to achieve. An unbelievable amount of The Walking Dead scenes are filmed on a sound stage with CGI added in post-production. Sometimes the CGI looks a bit off, but we should not judge the show too harshly because there are so many other effects done so well, the zombies look amazing. That was true for the first few seasons of The Walking Dead where Rick and the group find a new place to call home to have some huge disaster happen towards the season finale forcing them to move on again. The stories told within those seasons were unique, however. Season one was undoubtedly the best of The Walking Dead seasons especially with the decline in ratings since the recent last few seasons. The show has picked up the pacing and included many more things to fight for the ratings it once had, but I miss the zombies as a greater threat. That being said, I currently binged Fear the Walking Dead Season 3 on Hulu, and I was thrilled with that season in The Walking Dead universe. Actor Jeffrey Dean Morgan‘s performance of the one-dimensional Negan is terrific without the need for a better backstory and more depth. It would be better if the Negan character had more to work with, but Morgan makes us hate him enough already. Many of the supporting actors are not known very well to not link them to something else they did, but the main cast members have a lot of experience under their zombie fighting belts. Season one had a balancing tone of action and character while the second season lacked the action and most of the zombies throughout that season which the fans criticized heavily. Writers have now included more action scenes to keep fans a bit more entertained. 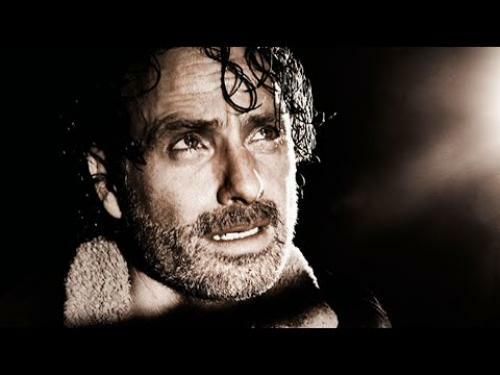 Scott M. Gimple who took over as showrunner starting in Season 4 wanted to split the group up a bit and focus on more characters individually instead of the groups in previous scenes. Some really good scenes came out from these episodes furthering character development. Norman Reedus as the antihero Daryl has been an amazing journey, and he has become Rick’s, right-hand man. Morgan Jones (Lennie James) and Carol Peletier (Melissa McBride) have tried to see similar fan reaction, but Daryl remains the mold to be broken and a fan favorite. Hence the "If Daryl Dies We Riot" memes. Before The Game of Thrones show did this, The Walking Dead proclaimed that none of the cast members were safe killing off characters without warning. Fans tuned into the show and watched vigilantly so they would not miss another character death. The show has evolved to not focus on this trick as a major focus of the show anymore.